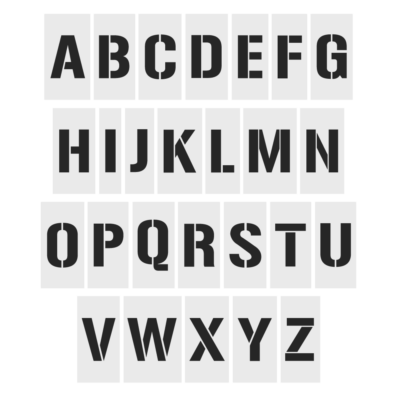 We have a range of letter & number stencils premade to allow you to quickly place an order. Each stencil comes in a variety of sizes to ensure you have something to suit your application. These stencils are perfect for road marking & warehouse marking. If you cannot find something to suit, try making an enquiry for a custom stencil.